This Car Model has expired. July 20, 2017: Wondering how GST has affected the prices of the Mitsubishi Montero? Find out here. Mitsubishi relaunched the Monetro last year in November after it was discontinued in 2014. Compared to the previous version, the current Montero comes with subtle aesthetic changes and additional features. It is now available in a single variant. Powering the big SUV is a 3.2-litre diesel, which puts out 192PS of max power and 441Nm of peak torque. It is mated to Mitsubishi's INVECS-II 5-speed automatic transmission with Sports mode and comes with Super Select 4WD II system. 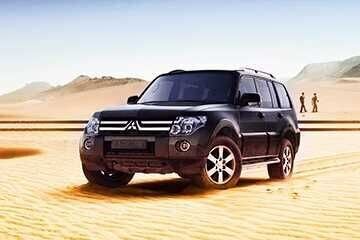 The claimed ARAI mileage for the automatic variant: Mitsubishi Montero Diesel is 11.56 kmpl. Hindustan Motors has launched Mitsubishi's SUV (Sports Utility Vehicle) the all New Montero and its rally sports car Evolution X today at the Autocar Performance Show, 2010 in Mumbai commencing today.